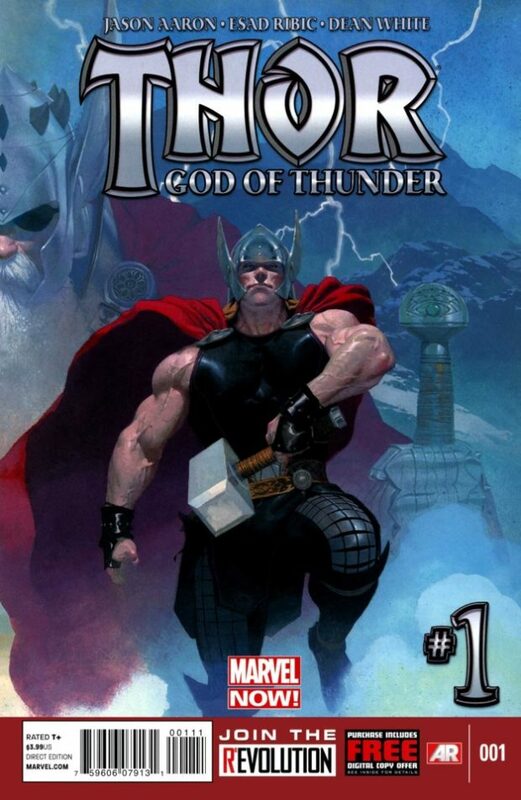 A few years back, my friend Alex turned me onto an awesome Thor title: God of Thunder. An avid non-purchaser of comics, Alex loved the book so much (don’t ask me how initially read them…I didn’t ask) that he bought the trades and let me borrow them. Esad Ribic, Croatian comic artist, best know for his work on Thor, Loki, Silver Surfer, and Secret Wars slays this story. Of course, the art would not exist without the outstanding story by Jason Aaron…this duo is out of this world, literally. I will say with some level of certainty, that the art in this book is among the best comic book art that you will witness…period. And it’s gotta be the best Thor art of this decade. I know art is subjective, but dang, this art is really next level. With amazing angles, terrific shading, and realistic bulging god-like muscles, this book (well, the book doesn’t have the muscles, but you know what I mean) allows the reader to feel what it’s like to be in the presence of Gods. The story is just as good as the art. 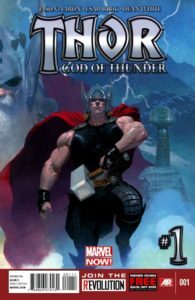 Spanning thousands of years, this Thor story bounces across centuries as three adaptations of The Mighty Thor searche for the God Butcher, and in the process, an intricate story unfolds, revealing itself to an uninformed Thor and reader. The back matter is filled with more spectacular art: character designs, variant cover art, and penciled pages complete the end of a book that would have already made the perfect gift for the comic-art lover in your life. If you are looking for an entry way into hero comics, here you go. Thor: God of Thunder.